Alex Bellini is not like you and me. He’s rowed across the Atlantic Ocean, run across the US, and skied across a glacier. Now he's planning his most exciting adventure yet – living on an iceberg for a year. His project is called Adrift, and it’s pretty ambitious. Bellini is a 38-year-old public speaker from Italy who now lives in Oxford, UK, with his wife and two daughters. 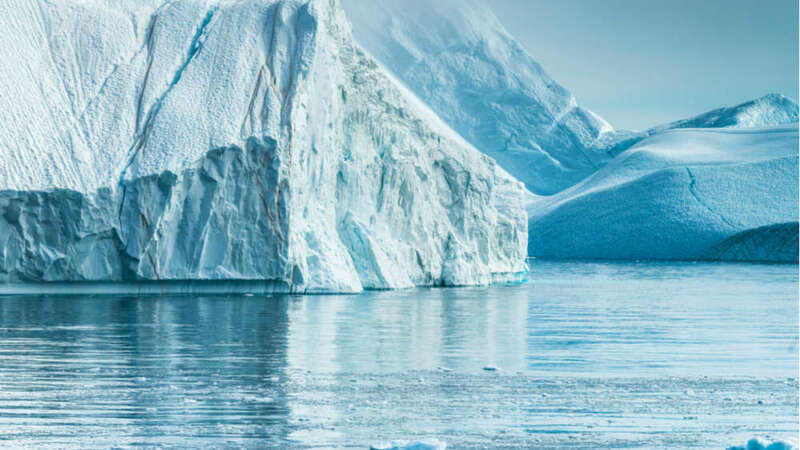 He wants to drop a specially designed survival capsule onto an iceberg in Greenland and live inside it for up to 12 months, or until the iceberg flips. Whichever comes first. Why? Well, Bellini is an adventurer at heart, and he tells IFLScience that he sees this as his next great challenge. He also wants to highlight how climate change is affecting ice sheets, something that’s pretty topical now that a large chunk of the Larsen C ice shelf in Antarctica has just broken off. Greenland is the ideal location for this project because of the infrastructure there. Bellini has picked a town called Ilulissat as his base, which is located in the North West of Greenland. This is located near an ice sheet, from which new icebergs are constantly being made every day. Ilulissat also has a helipad and a sizable helicopter that could carry his capsule, and it would provide a good location for his support team. He'll need permission from Denmark, who oversee Greenland, to go ahead with the project. If they say no, he’ll be forced to look at other options like Canada, which don’t have the same infrastructure near new icebergs. Bellini will travel to Illulisat one winter in the next few years and begin to monitor new icebergs. Ideally, he wants one that’s fairly flat and about 60 square meters (645 square feet) in size that’s already floating in the water. He also needs it to be floating north, so he doesn’t end up in the middle of the Atlantic Ocean. He’ll monitor the Greenland ice sheet with the help of the Canadian coastguard. Once he’s found a suitable iceberg, he’ll track it for weeks to check which way it’s drifting. If it looks good, he’ll use the helicopter to drop the capsule down. After two days, if the iceberg is stable, Bellini will follow the capsule and begin his adventure.